The options for wedding centerpieces are endless. 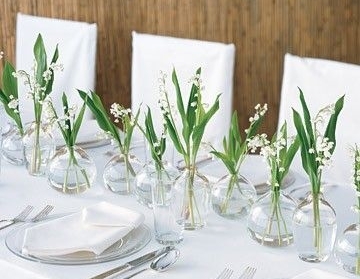 Whether you're looking at keeping with tradition using floral arrangements, or are looking for a DIY budget friendly option, we've compiled a list of some of our favorite modern and unique wedding centerpiece options that will be sure to get you inspired for your own event. Incorporating fresh fruit into your wedding centerpieces is a trendy and unique way to kick up your theme. You'll be sure to impress your guests with this rarely seen detail, and it's edible too! 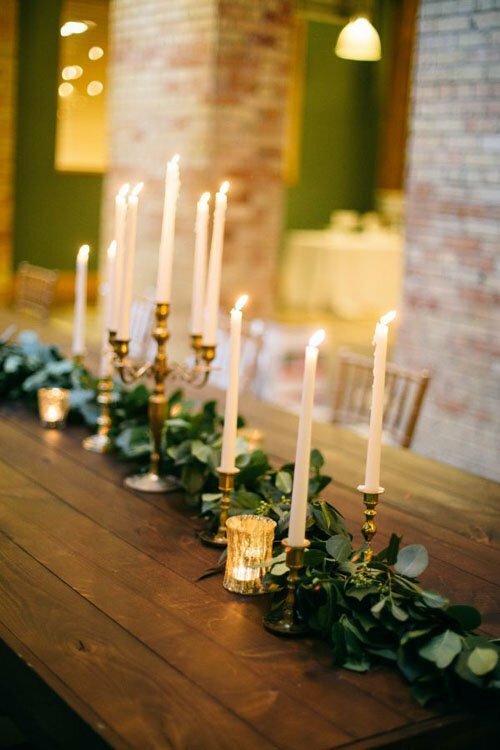 While this style may not work in all venues, it definitely adds some drama and uniqueness to your event. It's also an amazing alternative to traditionally large centerpieces that can block guests from interacting and ruining your guests line of sight. 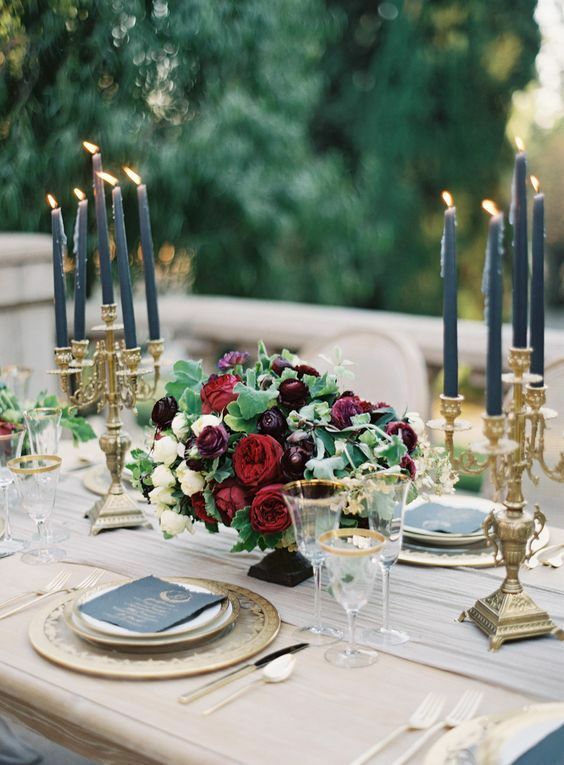 These traditional and formal candles are making a recent comeback! 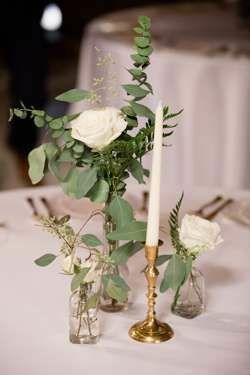 Thanks to their simple elegance, and availability in every color imaginable, they're the perfect addition to any wedding centerpiece, or make a stunning statement on their own. 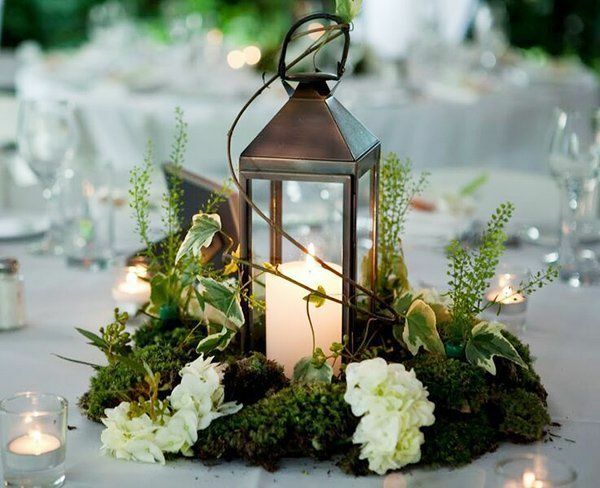 While using branch trees and wood slices as a centerpiece has been around for some time, this fresh take using moss adds a deep woodlands feel to your event. 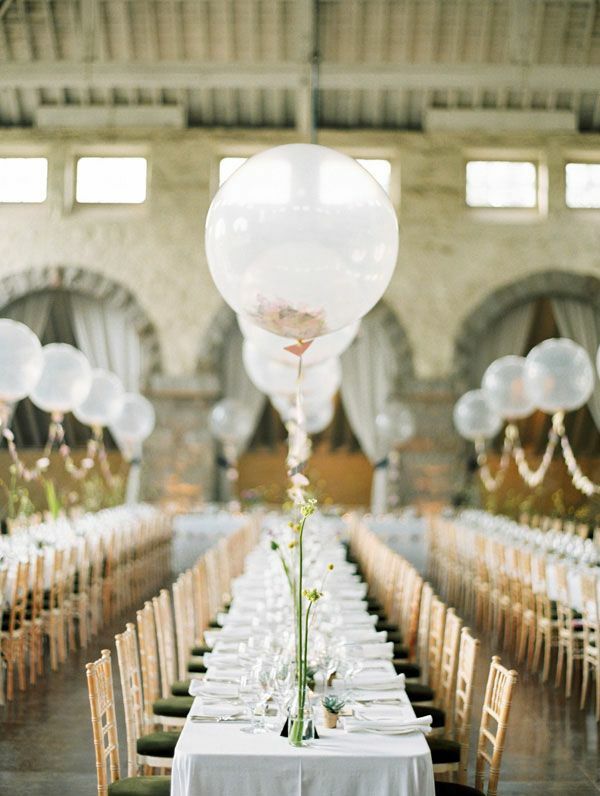 Balloon garlands are all the rage, but they're still relatively new to the centerpiece scene! 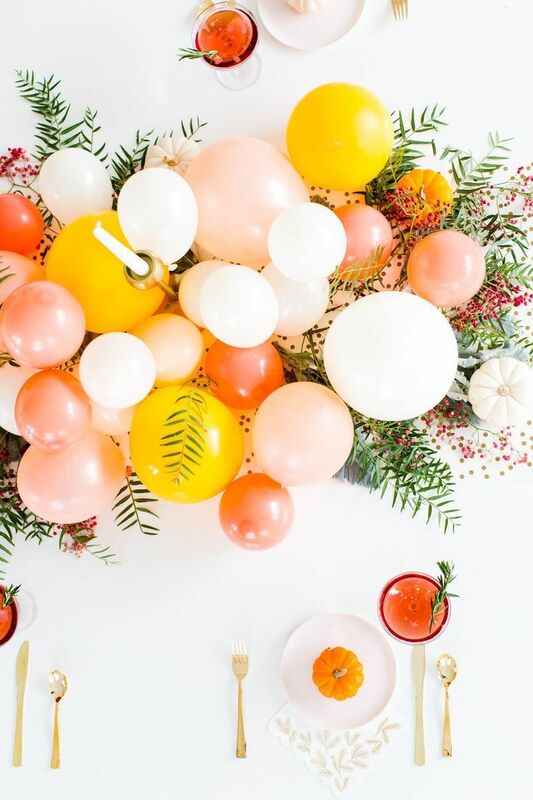 You can create stunning balloon centerpieces to compliment any event and suite any color scheme, and at a way better price than traditional flowers! 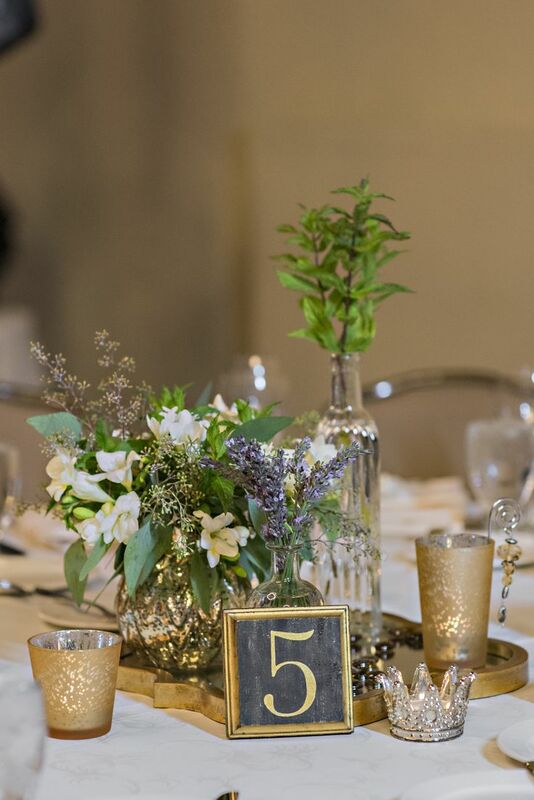 An environmentally friendly and dual purpose centerpiece, this herb garden is a unique and Eco conscious way to add some greenery to your event. The mini pots can even act as guest favors as well as decor. 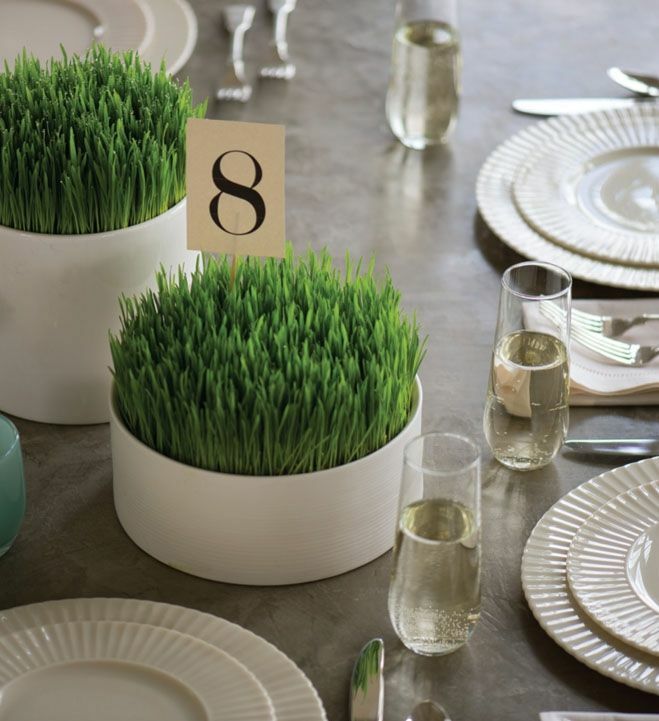 Wheat grass is a trendy alternative to traditional floral greens, and add a fresh and bright addition to your centerpiece. Add some traditional flower elements to create a chic and unique piece. 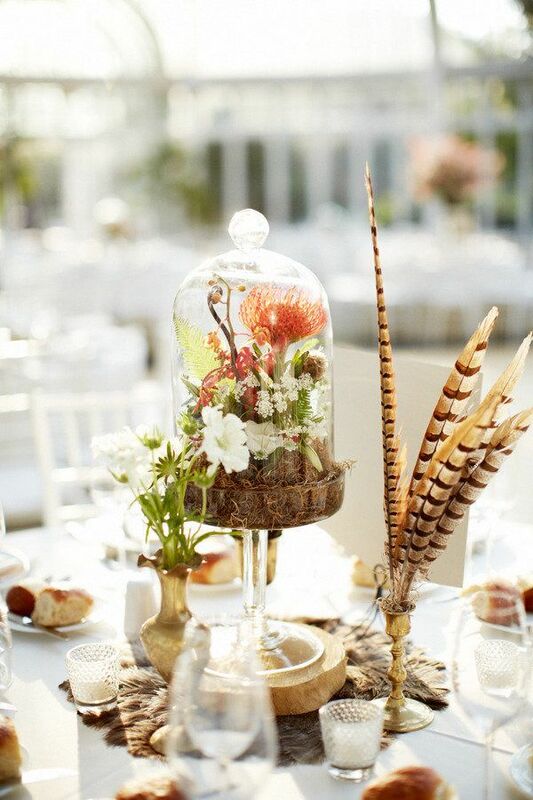 These super stylish and on trend terrariums are a chic way to kick up the trendy industrialist vibe of your event. 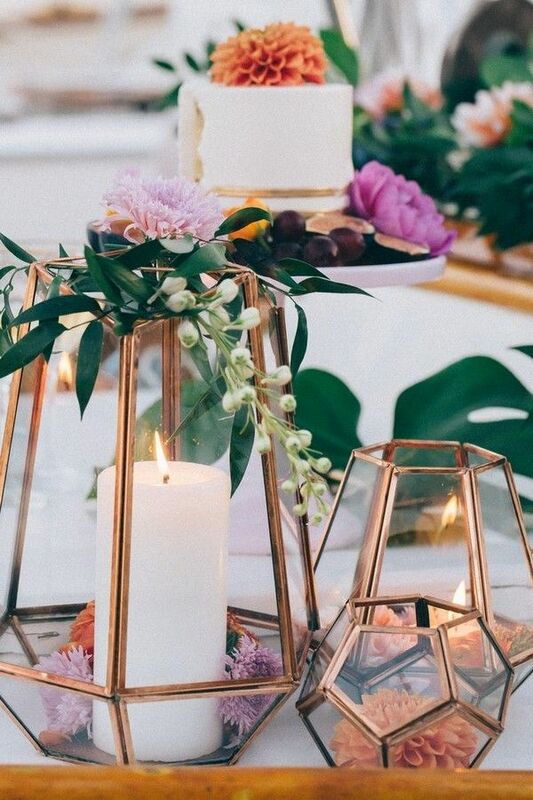 Terrariums are available in gold, rose gold, black and silver, and a variety of shapes and sizes, so you can easily coordinate them to your event, or mix and match for an eclectic look.